It may not be the justice fans were hoping for, but Barb will get her due in season 2 of Stranger Things. Almost immediately after the show debuted on Netflix, fans took to social media demanding #JusticeforBarb. 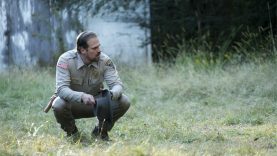 With so much of the show focusing on finding Will and saving him from the Upside Down, everyone in the town and those working on the show seemed to forget that another kid had been abducted.